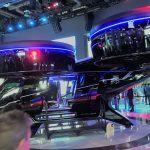 Creo Dynamics’ Headrest ANC algorithm is part of the “Immersive Sound Experience” showcased on the Faurecia stand at CES 2019. 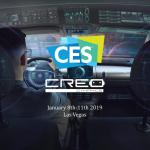 At Creo Dynamics, we work intensively on developing all-around noise control solutions for ground vehicles, including global and local ANC solutions for engine and road noise cancellation. Interested to be part of this journey? Get in touch with us!